In this lesson, we’ll be learning about the drop-2 voicing technique. If all this doesn’t make sense to you yet, don’t worry because I’ll be taking you by the hand and showing you step-by-step, leaving no stone unturned. A chord can be defined as an aggregate of three or more related notes (agreeable or not) which may be played or heard together. So, a chord is basically a product of notes and can be broken down into notes. The notes of a chord, can be considered as voices or voice parts: soprano, alto, tenor, and bass. Soprano is the first voice. Alto is the second voice. Tenor is the third voice. Bass is the fourth voice. …which is the second voice. So, at sight, you can be able to determine the alto voice in a chord by identifying the second to the highest-sounding note in the chord. In our consideration of the notes of a chord as voices, we are primarily involved with the concept of voicing. Voicing goes beyond the consideration of notes as voices, into the rearrangement of these notes using rearrangement techniques known as voicing techniques. The drop-2 voicing technique is one of the voicing techniques that is used in a variety of music styles like jazz, and gospel music. …its drop-2 voicing can be derived by the octave transposition of the alto voice. When a chord is inverted, the drop-2 voicing technique is still applicable. Pursuant to the guideline given, the second to the highest-sounding note in the chord (which is the alto voice) is to be transposed to a lower octave. 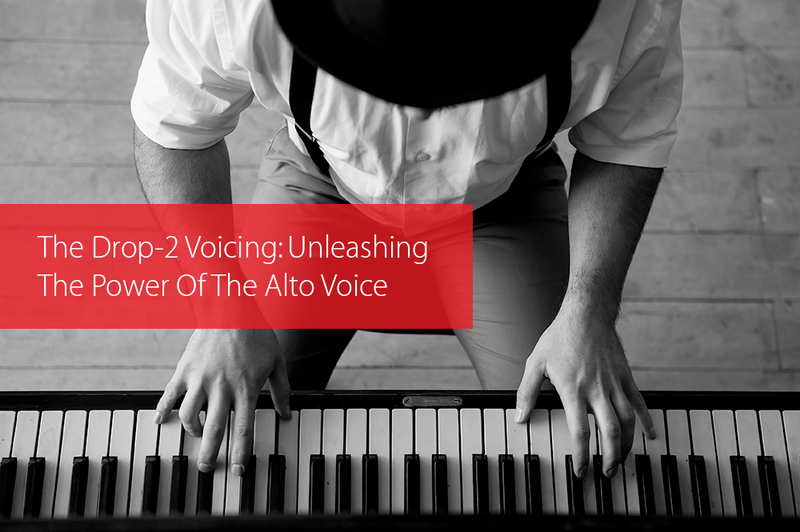 You can take advantage of the power of the alto voice to rearrange your chords using the drop-2 voicing technique. Endeavor to explore the drop-2 voicings of various classes of chords in other keys as well. I’ve been looking for a material on how to voice (chords) parts on the piano to accompany a singer for harmony and I finally found this.